When the weather is 100+ degrees, the last thing that I feel like doing is cooking. Sometimes I don’t even feel like eating. But when I do cook, I want something like this. Easy to make, super fast, and pretty darn tasty if I do say so myself. I have seen a lot of tandoori recipes around lately in the food magazines and the blogs, and I took about 3 or 4 different recipes and came up with this one. I have to admit that I was a bit surprised at the reaction at my dinner table when I presented this to my husband. I did not think that he would be into tandoori chicken. So wrong I was. He loved it. If he likes it, anyone will love it. He can be hard to impress sometimes. 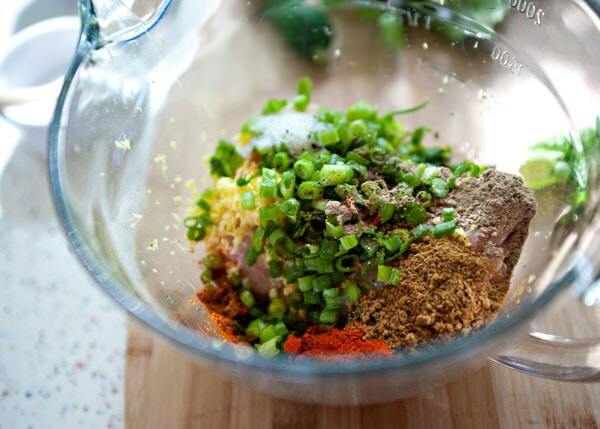 Put the chicken and all of the spices in a bowl and mix well. Form into 4 patties. 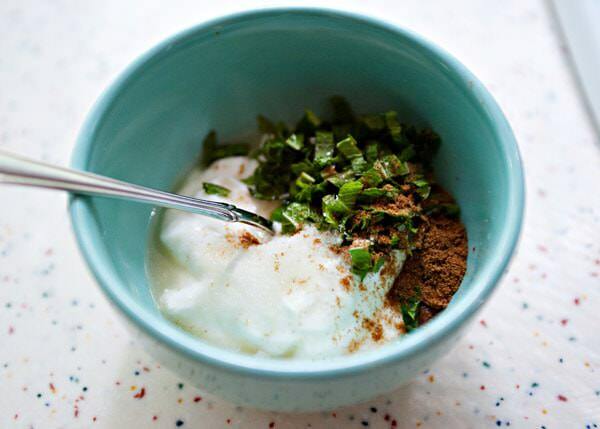 Mix the yogurt sauce in a small bowl. Set aside. 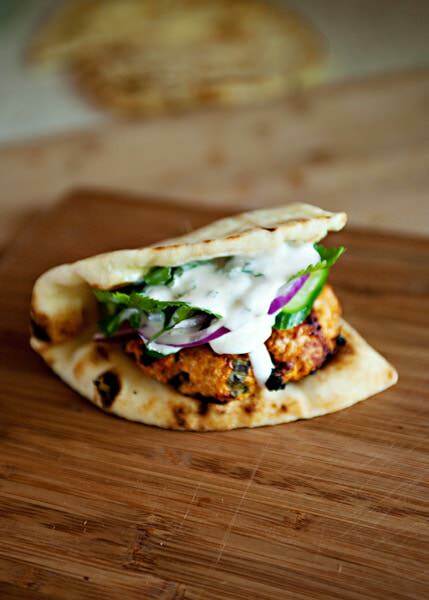 Cook the Tandoori Chicken Burgers on a preheated grill over medium-medium high grill. About 3 minutes per side. Throw the Naan bread on the grill during the last few minutes. 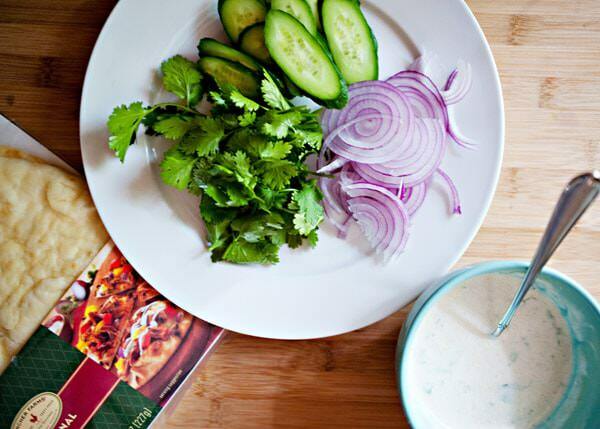 Top the burgers with a few sliced cucumbers, red onion, and a generous handful of cilantro. Add the yogurt sauce and there you have it, the easiest and freshest tasting burger ever. I already know these are going to be a huge hit with my hubby and I! Can’t wait to get through this crazy week so I can settle down and cook them! First, I am not hard to impress! Second, if it is a burger, I will eat it. Third, your food is amazing….every single thing you make. I would eat a lump of mud if you took the time to make it for me! You make me sound like Mikey from the old Life cereal commercials. I love you! Yes you are. Who are you kidding? I know that you will eat anything that I put in front of you, but that doesn’t always mean that you love it. This dinner you actually moaned at the table. What a fantastic idea! 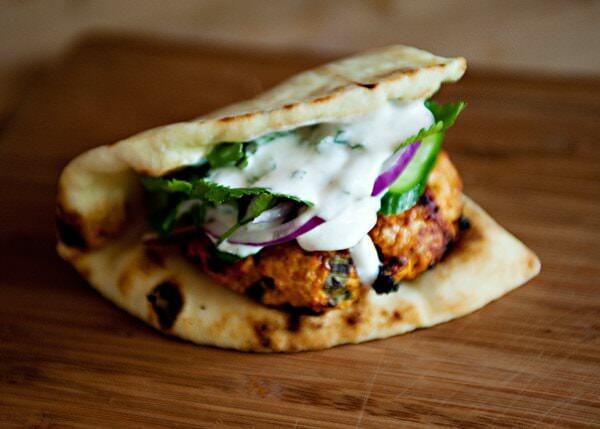 The next time I make some naan, I’m making this. YUM! 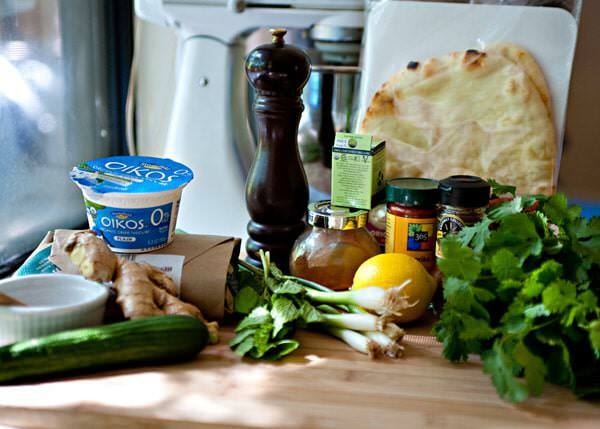 you make your own naan?????? Yum!! These look and sound amazing! I love the photos. These look amazing. I’m making these this weekend! I hope that you liked them! We make something very similar with lamb…will try chicken. Amazing photos as always. I am not a fan of lamb, but if you put the yogurt sauce on it, I would eat pretty much anything. these are really good. Really easy to make too. Oh Lordie – you have been busy! I have so many new things to try. This is “ON” next week. Bree, I made these last night and although the flavor was fantastic, they were a little dry. I made them on an indoor grill. I was curious as to the fact that there are no binding ingredients in the recipe although I realize after I re-read the recipe that I forgot the ginger; would that have made any difference in the dryness you think? Maybe I am just too paranoid about cooking chicken fulle that I overcooked it. The yogurt sauce was yummy! the ginger is wet, like an onion, so it would probably have helped. Sorry that they were dry for you! Made these tonight and they were incredible! Love the yoghurt sauce and the amount of flavour in the patty! Great recipe! I love this recipe too, I am so glad that you liked them as well. I somehow landed on your blog, and I am SO glad I did! I made this for dinner a few weeks ago and it was such a HUGE hit with me and the hubby! A great lighter option when one is craving heavy indian fare. Thank you, can’t wait to try other recipes out they all look so great!!!!! that is nice to hear. Glad that you liked them. A salad with maybe a gingery dressing. I think that I served these with some Alexandria’s fries honestly. greetings…i was wondering what yu served this with? baked fries. And maybe a side salad. I’m usually just cooking for one, but I still am dying to make these burgers! Should I go ahead and make the whole recipe and reheat the burgers each time, or does the meat mixture keep in the fridge for a few days? Thanks! I am guessing that you are probably better cooking them and reheating them. You could also freeze them. I found this recipe on Pinterest and made them as meatballs (threw in an egg and some breadcrumbs to make sure they wouldn’t crumble in the oven.) We also only had ground turkey at home so that subbed in for the Chicken. I made some garlic naan and for a side we did some simple saffron rice, and everything together was like an almost falafel heaven! It was so good, thanks for the delicious recipe, I will for sure be back to check out the rest of your site! Welcome! Please come back and see me. that sound delicious. Let me know how they turn out please! Fantastic timing! So glad a friend told me about your recipe. I have everything on hand except the ground chicken, and that’s easily remedied. Can’t wait to make it for dinner tonight! Thank you! Hope that you like them! This looks amazing! easy and healthy my two must have ingredients! I can’t find naan bread here in El Salvador I will try to use pita bread instead! Amazing! So creative and delicious looking. I made these last night and they were great. We are having them for dinner again tonight. Two nights in a row? You really must like these. These look super! Finding a way to worth them into my menu next week! You are welcome Meg, I have not made these in awhile, I should make them again soon, I really like them. I saw the recipe on pinterest and had to try them. They’re very delicious. Thanks for the recipe. you are very welcome! Hope that you will continue to read! Hi Bree, I came here from Cook’s Sister because I found your burger photo irresistible! Your photos are breathtaking and the burger sounds so luscious! Naans are the only carb I order when I go to an Indian restaurant (no rice, I prefer Japanese style, slightly sticky rice), so believe me I have fallen in love with your idea. You have a beautiful blog! Thank you so much Sissi! Welcome! I have not! How do I get in that group? I saw this recipe on Pinterest and stopped cold in my tracks for it! 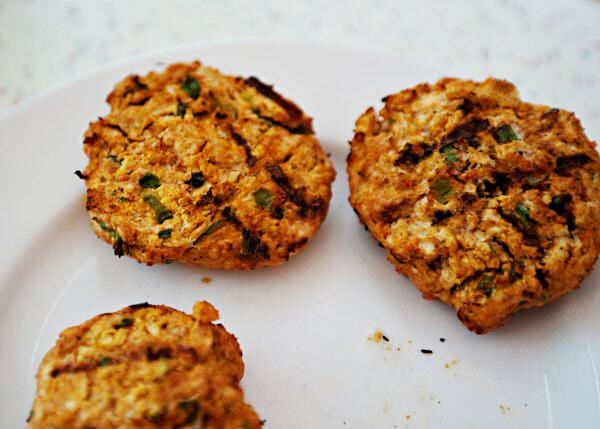 We love making turkey burgers with curry, ginger, cilantro and yogurt mixed in with the meat. My husband and son (he’s 9) love them and I make a double bch so we can have for lunches the next day. These beauties are right up our alley and are on the menu for tonight’s dinner. I know they are going to be a hit! I plan to use turkey, since we have it, and the flat, round , wheat sandwich bread you can buy now. Can’t wait to sink or teeth into these! I hope that you love them! I just came across these burgers and my mouth is already watering. If I was making 12 of these burgers, would I just triple the ingredients? Thank you for this recipe! I made them tonight for dinner and they are heavenly. I only added garlic to chicken and a tsp. of garam masala. I also made them into kababs instead of patties. Excellent and the yogurt sauce is soooo fresh! Thank you again and keep the good recipes coming. You are welcome, I am glad that you liked them so much. We make this once a week. It is our new family favorite recipe. Even if we can’t find mint or cilantro, the taste is still great. Thanks for the great recipe. I am so glad! I have not made these in a really long time, I need to add this recipe to the rotation. Hey Bree, came across this on FoodPorn @ Facebook, lol. Pictures are great and the recipe seems really easy to make. I will definitely try this at home! I always thought Tandoori chicken was to be made in a traditional grill and had to have bones in. This ground chicken idea sounds good to me! Thank you Garry! 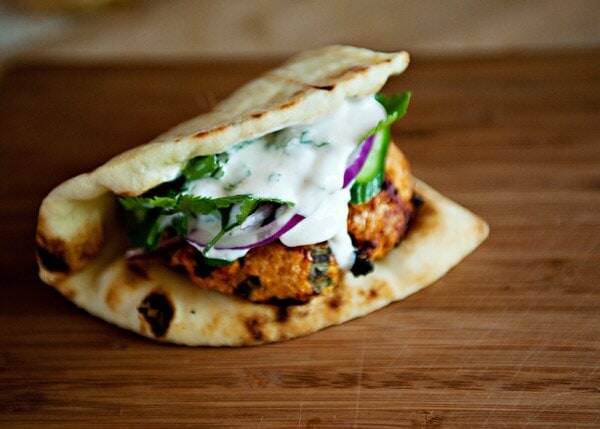 It is a take on a tandoori, but has all of the flavors. Made this tonight and it was fantastic! I subbed cilantro for mint since we have mint haters in the house (sadly) and used turkey instead of chicken since I had it on hand. I even went the extra step and made homemade naan. Don’t think I’ll be doing THAT part again, but it was fun once. I’m thinking of working on a Greek gyro version with a half lamb, half chicken patty, tomato, red onion, maybe some Romaine and tzatziki on flatbread. Sounds delicious! And good for you for making your own naan. I made these on Saturday and they were really good! I love the Tandoori flavor. I added Turmeric. 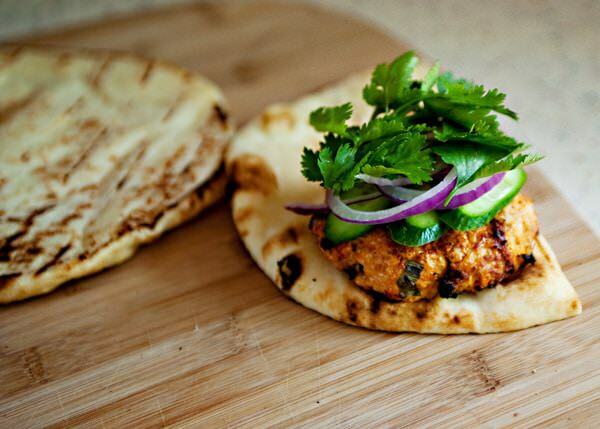 Thanks for sharing this recipe 🙂 Just finished my tandoori burger and it tasted great! I added some garlic to the minced chicken. Yum! Made these this week because we seemed to have a lot of the items on hand. They were delicious! I left out the cardamom (mostly because I do not know what that is) and substituted a premade yogurt dill dip for the sauce (added a little lemon to it). What a great mix up to a classic burger! Thanks for sharing! I did this with getting turkey breast meat and cut the recipe in half because it’s just me. Totally rocking GOOD!!!!! Very happy. So happy you liked these so much. This is my lunch this week, while it is good and full of flavor it is dry and crumbles. I make turkey and chicken burgers often so I am not sure why. It could be the ginger. Perhaps an egg would have helped. I just made these for dinner, and they were fantastic! I made a few little changes. I used 2 lbs. of ground chicken, and it made 5 patties. I didn’t have any cardamom, but I had some garam masala (which contains cardamom) and that tasted great. I substituted cilantro for the mint, and I also added a little chopped cilantro to the meat mixture. I had no problems with these being dry or crumbling, but I browned mine in a cast iron skillet with a little olive oil. Next time, I might try to make smaller patties or even meat balls. We ate these with homemade pita bread that I make. So delicious! Thank you for the recipe. This is a gem of a recipe. We made these last night and they were incredible. I don’t think I’ve ever commented on a food blog in my life — but had to today to tell you how much we loved these. I followed the directions with the exception of adding green onions (forgot to put those on my shopping list). With the sauce, I added chopped garlic and cilantro b/c why not? I’m Indian and love this modern take on tandoori. I can’t wait to serve them to my parents, who will no doubt scoff at the idea but I bet they’ll be hooked after one bite. Thanks! I’m so glad that you liked them. Tried this tonight. Flavors were excellent. The patties were too moist, so we took them off the grill and plopped them in a pan on the stove top and sautéed it kind of like “taco meat” and served it up in the naan broken in half and opened us like pita, topped with the sauce and toppings. It was delicious, but I won’t do this again. It helps if you chill your burgers before you cook them. Since they are so lean they are fragile. Despite the many spices listed in these burgers they were fairly bland. The instructions were a bit confusing as well. a Green onions are on the ingredient list, yet not mentioned in the recipe instructions. The instructions also don’t say what to do with the lemon juice. A disappointing dining experience after procuring many of the ingredients I didn’t have on hand to make these and then after going thru the effort to make them they were just “meh”. The picture is the best part of this recipe listing. Don’t waste your time making them. Excellent! I am so glad that you liked them. WOW, this recipe was delicious. I was afraid it would turn dry and/or crumble since I had to cook it on the stove and how lean the meat is, but I followed the recipe to a T and it came out so good! I did add about one more tbsp of lemon juice to the yogurt sauce, but it’s only because I love citrus. I also marinaded the red onion slices in some lemon juice for a few minutes, too. Again, it’s because I love citrus. LOVED it! This is definitely going into a regular rotation in my home. Thank you for such a great recipe! I love this recipe too, I am glad that it will be a regular for you.